Each month thousands of Australians struggle to pay their credit card debt. 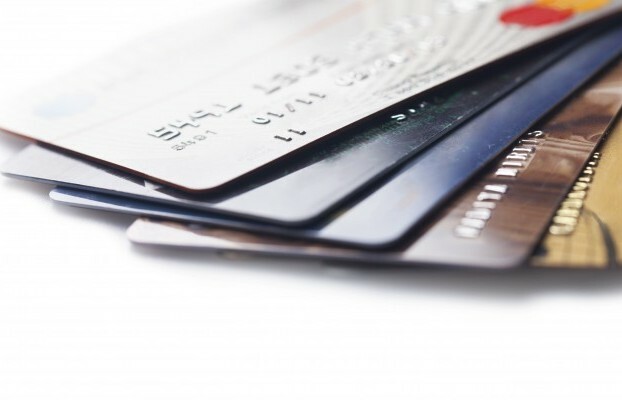 If you have multiple credit cards with high credit balances, each which have to be paid monthly, then you may also see the effect these cards have on your available income. You can change this situation. There are a number of things you can do to begin reducing your credit card debt. The problem many people have with credit card debt is that it can accumulate quickly. The attitude of "buy now and pay later" is all too common and it is easy to fall into this way of thinking. The problems arise when the debt has to be repaid. The first step to getting off the debt cycle is to cut up your credit card. Even if you only pay the minimum monthly payment you are moving in the right direction. Credit card rates vary from around 10% per year up to 30% in some cases. If you have several cards at the higher interest rates it is advisable to move as much of that debt as possible to a lower interest card if you can. You can save hundreds of dollars a year by doing this and also pay off your debt more quickly. For this to be effective, you need to cancel the higher interest card once you have shifted your debt elsewhere, otherwise you will just be further increasing the amount of debt you owe. It makes sense to pay off the debt with the highest interest rates quicker. If you have three cards, all with the same balance but with varying interest rates, let's say 10%, 15% and 25% if you pay them off at the same rate, the card with the 25% interest rate will have more to owe than the other two cards. If you cannot consolidate the credit cards into one lower interest rate card, or loan, then it makes sense to pay more off the 25% card. This will reduce your overall interest payments dramatically. Once the higher rate card is paid out then you have smaller debts that are easier to manage. If you are a home-owner you can investigate options such as refinancing your home to pay off your credit card debt. The interest rates you end up paying are usually lower than those for credit cards. A personal loan may also be an option. You could consolidate your debt into one easy, manageable payment and often with a lower interest rate than your credit cards. Once you have cut up your cards there are no surprises on your monthly bill as the loan payments will always be the same. Many credit cards offer rewards schemes as an incentive to use them. Rewards schemes are costly to run and these credit cards may have an annual fee attached and a higher interest rate. This type of credit card may not be so attractive. Often you have to spend in excess of $20,000 per year to make any reward scheme worthwhile and then the rewards are not commensurate to the amount of money you have spent. If you are in credit card debt you will want to reduce your spending, not increase it.